Wine is the healthiest alcoholic beverages known so far. Properly chosen wine makes a dish tastier as it brings forward the meal's best qualities and aroma. The best companion to wine is definitely a cheese. 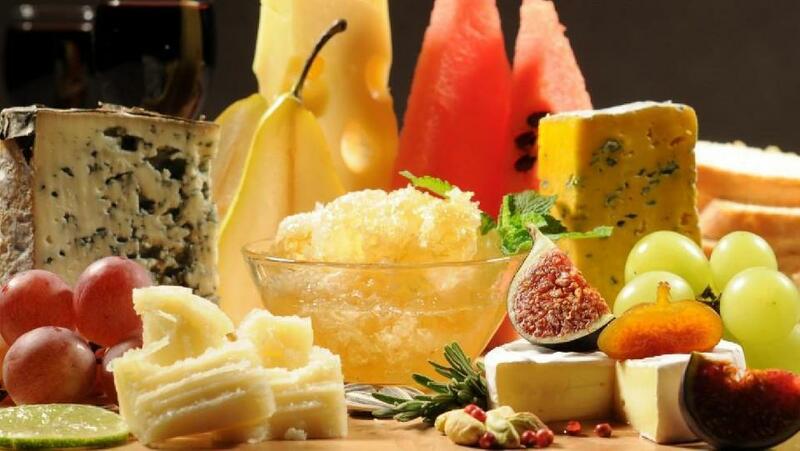 There is an interesting theory stating that the cheese varieties such as Mozzarella, Ricotta, Feta matches with the light white and rose wines, while hard cheeses (Edamer, Gauda, Cheddar, etc) suit well to red wines, such as Cabernet Sauvignon, Merlot, etc. Specialists recommend pairing a relatively fresh Camembert and Brie to the light red wines, while the same, but well ripen cheeses taste better with stronger wines. Blue cheese is best with fortified, dessert wines, while ripen goat cheese goes with dry white and rose wines. There is a simple rule – more ripen the cheese – older the wine should be. It’s a well-known fact that wine and cheese coming from the same region suit perfectly to each other. The same applies to the Georgian wine and cheese tandem – Tushetian Guda cheese is best with Kakhetian traditional clay pitcher made Rkatsiteli, Kisi and Saperavi wines. High consistency of tannin in these wines neutralizes salty, sharp aroma of the Guda cheese. Kindzmarauli and Khvanchkara pairs with Meskhetian Tenili Cheese, while Sulguni and Imeretian cheese - to the light dry wines, such as Tsitska-Tsolikauri and Tsinandali. To say the truth, all these recommendations are yet very general and your individual taste will know better what you prefer to delight yourself with.